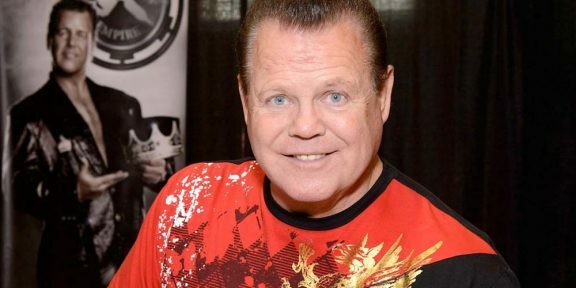 The Memphis-based newspaper The Commercial Appeal is reporting that charges against WWE Hall of Famer Jerry “The King” Lawler and his girlfriend Lauryn McBride were dropped and WWE has reinstated the Smackdown announcer after his suspension last month. 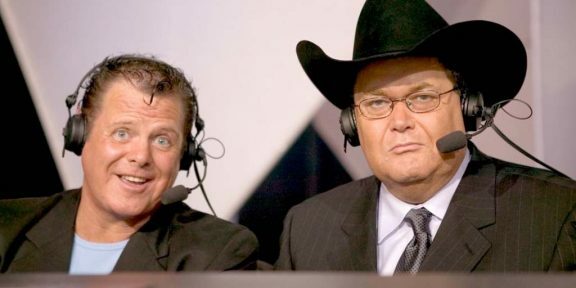 “Jerry Lawler’s legal matter has been resolved and his suspension has been lifted, effective immediately,” a statement from WWE.COM read. Lawler missed the Money In The Bank and a few Smackdown shows due to the suspension. The couple were arrested in June after police couldn’t identify who was saying the truth. McBride was saying that Lawler hit her, pushed her, and then gave her a pistol and told her to kill herself. Lawler’s story was different, telling the police that his girlfriend was drunk and tried to leave the house so he stopped her from driving, scratched his face and kicked him in the groin. The gun, he said, was brought in by her after she threatened to kill herself. The charges against them will be expunged from their records and Lawler’s attorney said the whole incident was a big misunderstanding that won’t happen again. The two plan to get married soon.